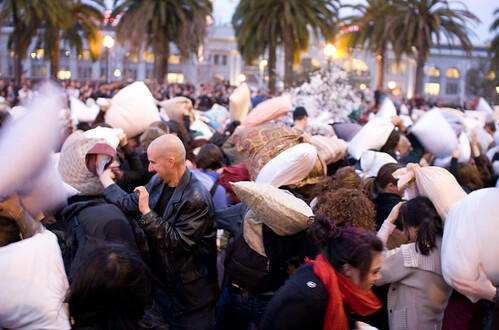 A ridiculous amount of people showed up for the massive Valentine’s Day Pillow Fight in San Francisco. They were so eager to start the battle that they didn’t event wait until the clock struck 6pm. Here’s a short video I shot at the beginning of the chaos. 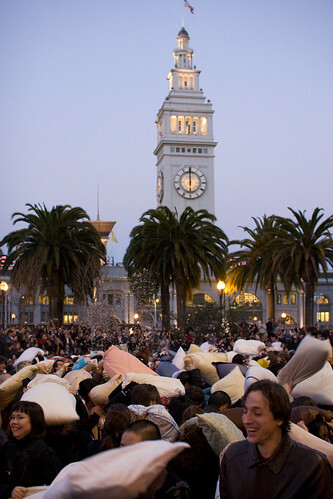 Here are a few photos of the Pillow Fight that I shot while there. 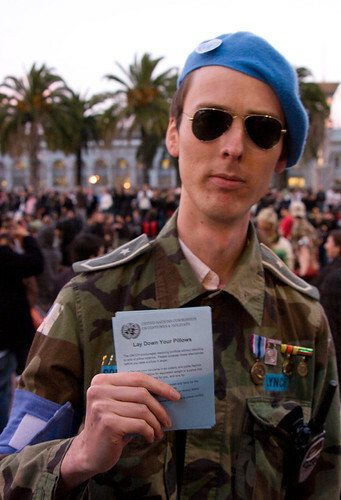 UPDATE 1: Scott Schiller captured some great binaural audio walking around the crowd with in-ear microphones and a Minidisc. 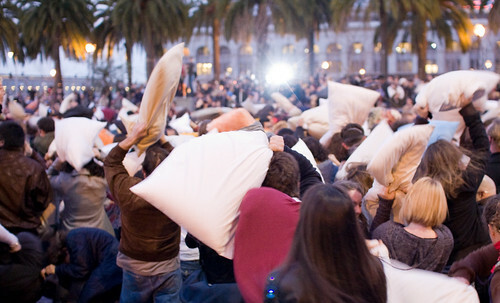 UPDATE 2: Here’s GETV’s coverage of the Pillow Fight.